Lead your teams on a captivating treasure hunt through some world class architecture or host your very own Olympic Style event in a true sporting mecca. As the city that has it all, Manchester is a great location to base your team build in whether you are looking for a high-tech event in the birthplace of the computer, or a Rhythm Sensation in the city that brought us Oasis and Take That. With a lively nightlife scene and plenty of restaurants, we can also recommend some fantastic venues to finish your day in. Manchester is absolutely brimming with history and played a pivotal role in many significant cultural moments; the industrial revolution, the football league and even Top of the Pops! Boasting magnificent landmarks such as Manchester Town hall, Cathedral and Central Library it makes for a wonderful destination with many points of interest but there are also a wealth of options just outside the city if you are looking for a more rural country setting. We have been running award-winning events in Manchester for over 20 years and have built up relationships with many fantastic venues around the area. Why not take advantage of our free venue finding service and speak to one of our friendly sales team today on 0845 006 06 06 about your next team building event in Manchester. Searching for a central hotel for a team build in Manchester? Look no further than the iconic Palace Hotel. Located in a coveted area of Manchester, it offers stylish guest rooms as well as 19 conference and meetings rooms that can hold seating for up to 1000 guests. 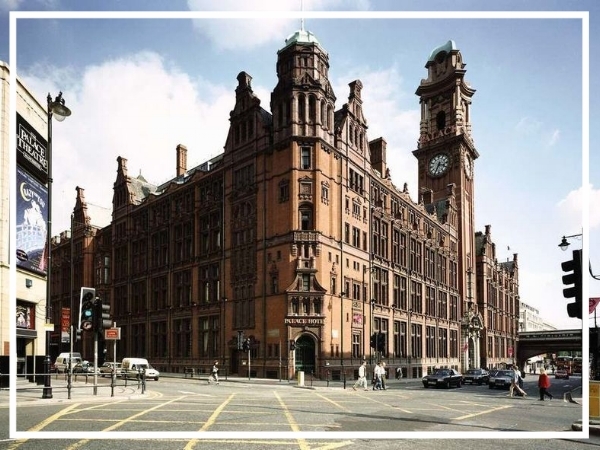 An ideal downtown hotel; the Manchester Marriott Victoria & Albert is located on the banks of the River Irwell and offers 129 rooms over four floors. Originally built as a warehouse in 1844, the hotel is contemporary throughout whilst still displaying old architectural detail. Set in a tranquil countryside location, this 4 star spa hotel is just eight miles from Manchester city centre. A great spot for a team build in the North West, the function rooms can welcome up to 220 guests and the hotel also benefits from an indoor pool and fitness room.